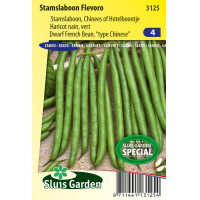 BORMS - SL3125 - Dwarf French Chinese" Bean Flevoro"
SL3125 - Dwarf French Chinese" Bean Flevoro"
The Chinese variety of Dwarf French Bean produces uniform, straight beans. They are fine and fleshy, fairly short (approx. 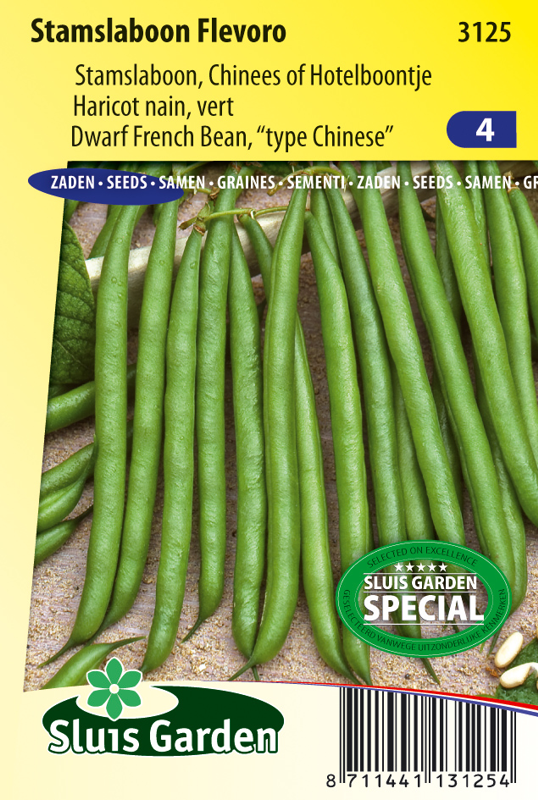 12 cm long) and have a somewhat stronger bean flavour. For an early harvest sow in a greenhouse or pre-sow in pots. Beans thrive in the warmth. Too much wind and particularly night frost can be very harmful. Sow or transplant after mid May in the garden. Row distance approx. 40 cm with a bean every 10 cm. It is a bush bean, so support is not necessary.